WestJet is showing flights from Halifax to London, UK for $312 CAD roundtrip including taxes. It's possible these are a mistake fare, so they could be gone within minutes. Do not book anything else for at least 48 hours until it is certain that your ticket has been issued by the airline. There are also non-stop flights from Halifax to Paris, France (CDG) in October for $428 CAD roundtrip (see below). There are also 1-stop flights from Halifax to Dublin, Ireland in October for $413 CAD roundtrip (see below). TIP: For more available dates, try looking on Google Flights for dates that are under $675 CAD roundtrip, and then try those dates on the Momondo UK website. 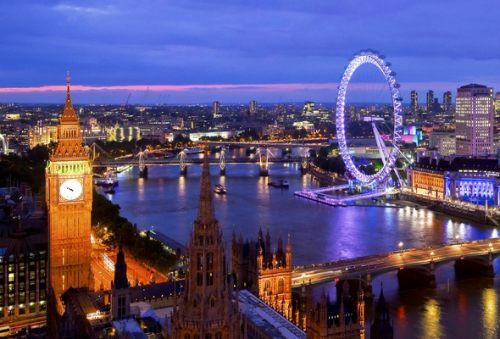 The price will show up as between 175 and 188 British Pounds roundtrip, which works out to between $312 and $333 CAD roundtrip when booked with a Canadian credit card. TIP: For more available dates, try looking on Google Flights for dates that are under $750 CAD roundtrip, and then try those dates on the Momondo UK website. halifax, yhz, westjet, europe, northern europe, western europe, london, lgw and united kingdom. No Responses to "Halifax to London, UK - $312 CAD roundtrip including taxes | (Paris for $428)"